The Irish construction industry will be central to delivering the vision of Project Ireland 2040. This is a once in a century opportunity to shape Ireland's communities, cities and society for future generations. However, the industry is facing barriers to delivering the huge backlog of essential housing and infrastructure. These have the potential to undermine Ireland's economic and societal progress in the next decade making Ireland 2040 an impossibility. These barriers include capacity issues in skills and productivity as well as a lack of finance that could potentially impact on the industry's ability to deliver in the medium and long-term. Traditional business models are also facing disruption. The rapidly changing requirements of cities, communities and citizens will fundamentally alter the demands placed on the construction industry. Digital technology is set to cause massive change in the sector. Future leaders in construction need to be ready to adapt to the turbulent and disruptive nature of innovation. 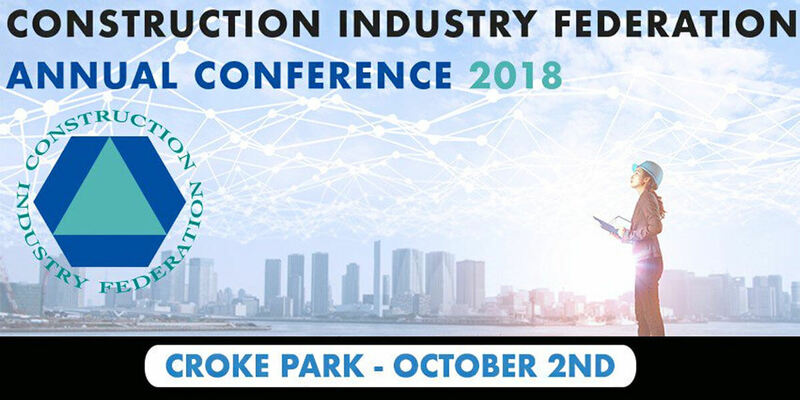 As the voice of the Irish construction industry, the CIF's annual conference is our flagship event attracting more than 500 delegates – members and non-members alike – from the entire range of industry stakeholders who operate both nationally and internationally. At our national conference, we will focus on how the industry can deliver products and services that enable Ireland to compete on the global stage. Join developers, planners, engineers and contractors at our 1-day conference on October 2nd as we look forward to the future of the industry, exploring these critical issues and more. What does the future hold for the construction workforce?